When I was a kid I got no respect. When my parents got divorced there was a custody fight over me… and no one showed up. MOOCs are on fire. They are a tool for democratizing education. They are crumbling the Higher Education Monopoly. And you know what hear? Stanford. Udacity. MIT. And as someone biased in the middle of something that is distinctly different, ds106, which does get mention, I keep feeling it does not get any respect. Stephen Downes and George Siemens, to their credit, to give nods to ds106, but it feels (totally being subjective here), like it is not taken serious. I criticized DS106 recently – that’s Jim Groom’s course – and I actually criticized Alan Levine because he was going on, “DS106 forever!” and creating chants and posters, and the whole idea of these projects in that course was that people would begin to identify with DS106. And it became like a political cult. And I know they’re just playing at this, and I understand that, and I know it’s just in good fun, but when the structure of the course comes to be about this central concept or content, then the actual intent of the MOOC to distribute and democratize learning has been subverted. So, this is a serious criticism to me. I’m sorry Stephen if I beat you over the head with a stick. It was intentional ;-) I was aiming it all your way. I should add that this poorly planned post is crafted partly in jest to elbow Stephen in the ribs- he has mentioned ds106 more seriously in his Social Media: An Interview and George Siemens regular includes ds106 in his framing of MOOCs. This is in no way the central concept or content of the course- and the assignment that generated this– was created by a student. No one ever mentions one of the most powerful parts of ds106 this year- the assignment bank. These are the things we ask students to do in the different kinds of media areas, Design, Visual, Audio, Video- but the things people do are built by people in the course. Is there any MOOC out there where the participants co-create the course? But frankly it is short sighted to see the “106” branding (sigh) as central to the course. I am teaching a class of 23 students who are pretty much focussed on what they are creating, and if you look through their work (sidebar at http://106tricks.net/) I dare you to find anything significant that is cult like or branding. We as teachers of ds106, me, Jim Groom, Michael Branson-Smith, Scott Lockman, know what our students are doing, we read literally hundreds of blog posts and tweets. 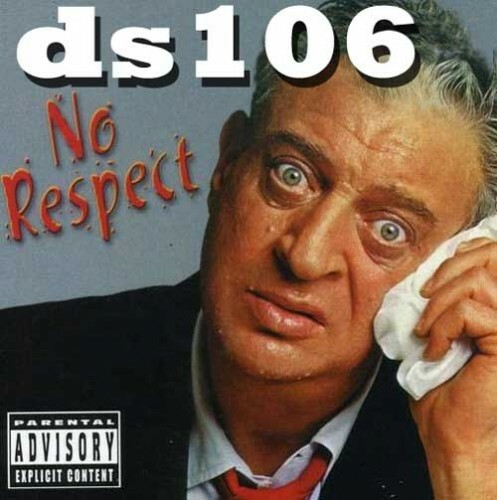 But what it feels like is that ds106 is seen as … a joke. I’ve already written this before, but no one besides Jim Groom takes notice SCALES ARE FOR LIZARDS; DS106 IS FRACTAL, MUTATING. Stanford A1, all of the MOOCS the Canadian Crew has done, are structured as becoming massive by aiming to give the same course experience to the masses- one to many. Stephen and George will argue to their network model, which I do not content, but their structure is “Here is our schedule, all participants are going to do the same thing at the same time”. ds106 does it different- our students here at mary Washington have a different experience than the online open participants, but more so, we have now 4 or 5 classes going on elsewhere that are tapping into ds106 for different courses. That si to say, the students in Scott Lockman’s class in Tokyo and Michael Branson Smith’s CUNY classes are not doing ds106 as we are. They are creating the overlaps that work for them. Rather than a model of star shaped topology; ds106 is a network of networks. The structure of the internet. But you know, people say lots of nice things about ds106, but it does not seem to be taken as seriously as those other MOOCy things. Frankly, I do not care if people do not take ds106 seriously- having been part of it from the outside last year, and the inside this year, I know how serious it is. And frankly, if we keep getting no respect, we will go on because we believe in what we are doing. It matters. Send the respect to Aretha, I’d rather have the fun. Big things are happening for ds106. I’ve got a long range plan to use the structure for a completely new course. But stay tuned Friday for something even more crazy. That’s all I am authorized to say. Alan, thank you for drawing us into the conversation and sharing your spotlight. This mediated authorship and ownership is key to our approach too, this iteration of #picbod students devised a task of their own but this happened organically, I can’t take credit for that development unfortunately. However that is exactly how we use specialist contributor content,by turning their interview/lecture/task etc into learning objects which I/we then contextualise. We’ll be adopting the student’s task into the next iteration of #picbod and when I told the students that this would be their legacy it had a hugely positive effect. They hired a space and organised an exhibition of their class work (photography) which attracted submissions from a World Press Award winner amongst their professional roster and drew in over 200 people for the opening night – for a ten week 2nd year undergraduate class(!) I know of final degree shows that pull in less. DS106 network of networks is as you rightly point out, a huge asset. We will adopt and develop that cellular possibility for our classes and learning objects so that they can be grafted more easily into other courses across disciplines. The â€œHere is our schedule, all participants are going to do the same thing at the same timeâ€, seems general to be nothing more than an extension to the broadcast model of teaching and learning. We see this as failing to address what the role of the 21st century teacher/lecturer/instructor/leader might be. It smacks of filming a man reading a radio broadcast at the dawn of television. I’m disappointed that you feel people don’t take DS106 seriously. I’m inspired by the energy and iconoclastic irreverence, but also the rigour and investment apparent in its brand (which includes both instructors and students). As for cultishness, my goodness, if only I could inspire that level of engagement in my student body, I’d settle for much less. Let see… community of folks using live webcasting to come together, community operated and driven, running since 2005. DS106 has its predecessors as well don’t you think? Have you paid close attention to making sure that they get respect as well? Who’s not getting any respect? I’m doin’ what I can brother, there is an entire history of the internet before me I need to acknowledge. Everything has its predecessors, even EdTechTalk, but no, I cannot say I have been overt in citing it. Guilty as charged. This was not really all that well thought out, I just wanted to use Rodney Dangerfield in some way. Respect, credit… get what you give, i guess. Actions, over words. Gotta go make some art, damnit. :) it’s all good. We’re all part of a hugegantic web of thingies. I have, on occasion, heard people talk about the live webcasting stuff that you guys do like its the first time it’s been done. And for your remix it is. It’s awesome. We certainly didn’t make up pirate radio… nor user contributed content. As for the MOOCs… we take you guys seriously. I get the sense that the feeling isn’t always mutual. I’d say ds106, picbod and such are a lot nearer to the spirit of the early innovations online and in learning than the MegaMOOCs. Maybe some ideas do get ripped off (tho acknowledged always), but at least somebody’s ripping off the good ideas! Though I have been a very passive lurker of ds106, I do give it credit in the same breath as #plenk2010, #cck11, #change11 and #cck12 for turning traditional education on its ear and showing us participant lead/co-lead models of learning. To the comment â€œHere is our schedule, all participants are going to do the same thing at the same timeâ€, I think you misunderstand what the Canadians guys are doing. They present a schedule, yes, but there has always been freedom for participants to come and go from it as they please, to participate live or view recordings later (or not at all), to create their discussion threads and tweets and posts and scoops and curations and even some art in there too. Yeah, that was a cheap generalization of change11! They know I love them. I think there is difference in atmosphere in ds106 compared to big-M MOOCs even if the latter are intended to be used informally if desired. I’ve sent pre-service and in-service K-12 teachers taking an intro edtech course to check out ds106 because I thought the sense of fun would encourage them to try out just one thing – whatever one thing struck their fancy. We’re quieter than ds106, and smaller than a MOOC (so I call it a SMOOC), but we have a syllabus and participants and we do it all ourselves (without tech support, a university, or much of a superstructure, though we get workshop help from MiraCosta College, where we work in every discipline except technology). We got no George or Stephen or Alan or Jim (well, we have a Jim, Jim Sullivan) – we’re just a group of crazy online faculty doing this for nothing but the joy of sharing and helping people learn to teach online. We are Pedagogy First! and we don’t get no respect either. Please, don’t ever aspire for “respect” from the Serious People. For the record, I love all you MOOCy-MOOCS. Love that classic clip- going to have to mashup with Jim where he says, “You cannot treat me like this, I am an artist, I tell you”! Pingback: DS106: MOOC course review | The Design Future is Now!